Supamamas - Events and Info Hub for Parents in Kenya - Who doesn’t want a happy family? Here are few tips that you can use to create a happy family too starting today! The word busy seems to be the new most overused word these days. Everyone is so busy with tasks and activities that families are lucky to spend a few hours per week together. 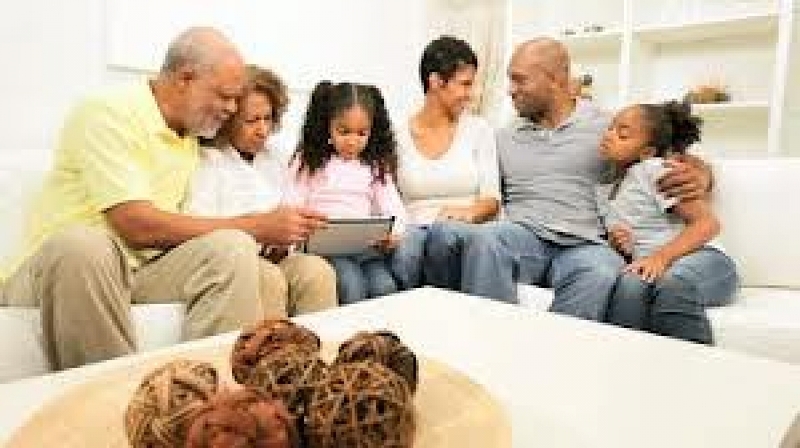 So, now more than ever, it’s important to set aside a time for the whole family just to be together doing things consistently every week, every month, and on holidays to create life long memories and family traditions. For example, it can be as easy and simple as family breakfast on Sunday mornings, movie night on Friday nights, an outdoor hike on the weekend, visiting family out of town once a month….. and the list goes on. As the song goes, “We all need somebody to lean on“. There’s nothing better than giving back to those in need. You may have been in need at some time, and someone has helped you. In the same respect, you never know when you might be in need so it’s good to store up some of that instant positive karma. It’s important to give often and allow your children to personally give as well. Giving back as a family only amplifies the positive gesture. It unites the family while also teaching children about doing good deeds for others and sharing. There are so many different things you can do too – like: Participate in a walk/jog/run that benefits a special charity or a group affected by a certain disease or disability. Give away things around the house that you no longer need or use. Donating clothes that are too small or not worn. Practice peace, kindness, and compassion. Yes it’s true. Siblings argue sometimes, and that’s about as normal as it gets. However, huge explosions can be prevented when you practice peace internally. Intentionally use kindness and compassion in situations that would normally create anger or upset. Declare and make a family rule that only positive, kind words are allowed to be spoken to each other. When feelings of anger arise, teach your children how to take deep belly breaths to diffuse the negative emotion. The best way to teach these habits are to practice them yourself. Consistently teaching your children about life and our Creator will set them up for so much success and happiness in their life. No doubt there is a driving force in this Universe that creates and flows through everything. Whatever you personally believe is up to you. It’s important to teach that belief to your child. Even if later down the road they decide to believe something different. Ultimately it is up to all of us as individuals on how we connect with the divine. Teaching our children that is exists an that we can communicate with that power is what creates well being in a person. Well being creates a happier and healthier family and life. To do this effectively you can can simply personally practice your religion or spiritual beliefs daily and lead by example. So many families tend to miss out on the simple joys of life, because they just have “too many” other things they decide to worry about. Happy families don’t stress and strain, they plan and act. When a less than desirable situation arises they deal with it quickly and calmly. They don’t let little things turn into big things and they feel gratitude for the beauty and love in their life. Happy families might still be “busy” with school, work, hobbies and extra activities, but they make the most of life because they created it. They diffuse problems quickly. When a big problem arises, they effectively handle it and communicate their emotions. They may share concerns in a more peaceful way to help the whole family co-exist more easily.